IBM and VMware’s agreement (announced in February) enables enterprise customers to extend their existing on-premises workloads to the cloud—specifically, the IBM Cloud. Customers can now leverage VMware technologies with IBM’s worldwide cloud data centers, giving them the power to scale globally without incurring CAPEX and reducing security risks. 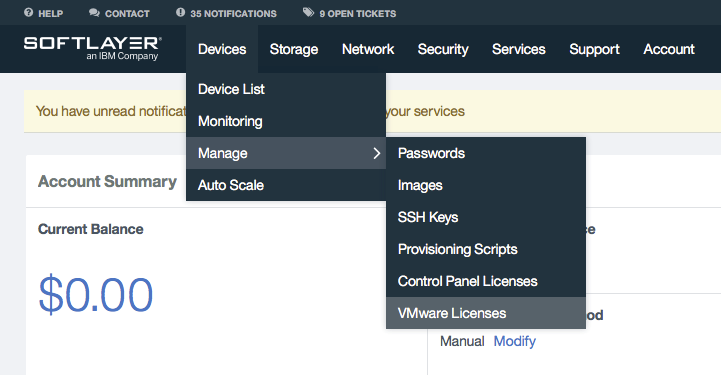 So what does this mean to customers’ VMware administrators? 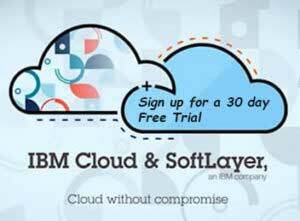 They can quickly realize cost-effective hybrid cloud characteristics by deploying into SoftLayer’s enterprise-grade global cloud platform (VMware@SoftLayer). One of these characteristics is that vSphere workloads and catalogs can be provisioned onto VMware vSphere environments within SoftLayer’s data centers without modification to VMware VMs or guests. The use of a common vSphere hypervisor and management/orchestration platform make these deployments possible. vSphere implementations on SoftLayer also enable utilization of other components. Table 1 contains a list of VMware products that are now available for ordering through the SoftLayer customer portal. Note that prices are subject to change. Visit VMware Solutions for the most current pricing.